We have a selected group of speakers representing many areas in the academy and the banking industry, from Chile and abroad. Anat Admati is the George G.C. Parker Professor of Finance and Economics at the Graduate School of Business, Stanford University. She has written extensively on information dissemination in financial markets, trading mechanisms, portfolio management, financial contracting, and, most recently, on corporate governance and banking. 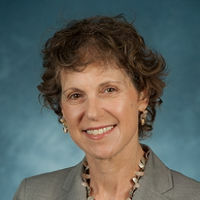 Also: Professor of Management Science and Engineering (by courtesy), School of Engineering; Professor of Economics (by courtesy), School of Humanities and Sciences and Robert & Marilyn Jaedicke Faculty Fellow for 2015-2016 [more]. Rudy Araujo is the Secretary General of the Association of Bank Supervisors of the Americas (ASBA) since July 2000. Mr. Araujo has experience in banking regulation and supervision, in the development and implementation of public policy, in promoting international dialogue and university education forged through more than three decades of professional experience. Mr. Araujo has a bachelor degree in economics from Truman State University and a master’s degree in human resource management from Western Illinois University [more]. 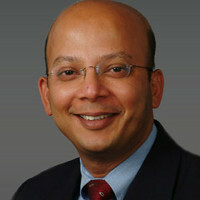 Iftekhar Hasan is the E. Gerald Corrigan Chair in International Business and Finance at Gabelli School of Business and co-director of the Center for Research in Contemporary Finance. Professor Hasan serves as the scientific advisor at the Central Bank of Finland. He is the managing editor of the Journal of Financial Stability. Professor Hasan's research interests are in the areas of financial institutions, corporate finance, capital markets and entrepreneurial finance. Professor Hasan has more than 300 publications in print, including 14 books and edited volumes, and more than 175 peer-reviewed articles in finance, economics, accounting and management journals [more]. David Kreps is an economic theorist of international reputation whose path-breaking work concerns dynamic choice behavior and economic contexts in which dynamic choices are key. 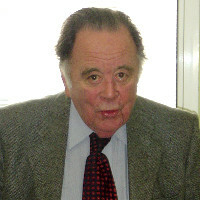 He has contributed to the literatures of axiomatic choice theory, financial markets, dynamic games, bounded rationality, and human resource management. His research interests are dynamic choice, human resource management and behavioral economics. Also: Adams Distinguished Professor of Management, Professor of Economics (by courtesy), School of Humanities and Sciences and Spence Faculty Fellow for 2015-2016 [more]. Luis Morand Valdivieso is a lawyer with vast experience in bank legislation. He was the chief lawyer of the Superintendency of Banks in Chile until 2004. He was in charge of the updating of General Banking Law in 1986 and 1997. 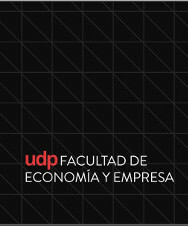 He is also a professor at the Universidad de Chile in the subject of banking legislation [more]. 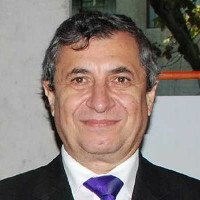 Miguel Angel Nacrur is a lawyer from Universidad Católica de Chile. He has been the chief lawyer at the Central Bank of Chile, the Superintendency of Banks and Financial Institutions and Banco Santander Chile. He is also an Associate Professor at the Universidad Católica de Chile in the subject of banking legislation [more]. 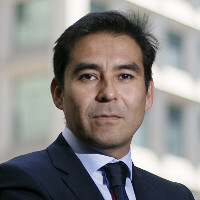 Eric Parrado is the Chairman (Superintendent) of the Superintendency of Banks and Financial Institutions of Chile. He is also a Professor at Universidad Adolfo Ibáñez and a member of the Global Agenda Council (GAC) on Latin America of the World Economic Forum (WEF). He was a member of the Financial Committee of the Chilean Sovereign Wealth Funds (SWFs) and a member of the GAC on Long-term Investing of the WEF. He has worked as an international consultant with the International Monetary Fund, the World Bank, the Inter-American Development Bank, and directly with governments and central banks. Mr. Parrado also served as the former International Financial Coordinator and advisor to the Minister at the Ministry of Finance of Chile between 2007 and 2010. He holds a Ph.D. and a Master of Arts in Economics from New York University, and a Bachelor’s degree in Economics from the University of Chile. Mr. Parrado was selected by the WEF as one of the 2011 Young Global Leaders [more]. Superintendent of Banking, Insurance and Private Pension Fund Administrators of Perú. He was President of the Development Finance Corporation (COFIDE) and Director of the Banco Central de la Reserva del Peru (BCRP) and the Andean Development Corporation (CAF) from 2002 to 2006. He was also a member of the Advisory Council and Vice President of the Latin American Association of Development Financing Institutions (ALIDE). In 2010, he was appointed Visiting Professor in Latin American Studies at the Kennedy School of Government at Harvard University and Research Associate Mossavar-Rahmani Center for Business and Government. 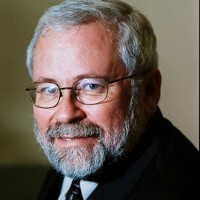 From 1972 to 1990 he was professor of economics at the Boston University, and later, from 1990 to 2001, at the American University in Washington, DC, and a research fellow at the Hebrew University of Jerusalem. He was also Managing Director of the Boston Institute for Developing Economies (BIDE) and is currently a member of the International Advisory Committee CENTRUM Business School of the Perú´s Catholic University (PUCP) [more]. 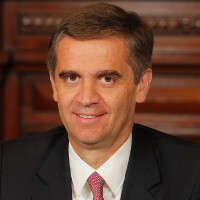 Rodrigo Vergara has been Governor of the Central Bank of Chile since December 2011. He was appointed member of the Board of the Central Bank of Chile in December 2009 for a term of ten years. Between 1985 and 1995 he worked at the Central Bank of Chile, rising to the position of Chief Economist in 1992. In 1995 he joined the Center for Public Studies—an independent Chilean think tank—where he was coordinator of the Macroeconomics Department. From 2003 until his appointment into the Bank’s Board, Mr. Vergara was professor at the Economics Department of Universidad Católica. He was also an economic consultant and member of the board of several companies. 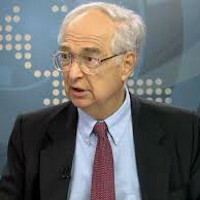 Mr. Vergara has been economic advisor to the central banks and governments of several countries in Latin America, Eastern Europe, Asia and Africa, and has been an external consultant for the World Bank, the International Monetary Fund, the Inter-American Development Bank and the United Nations. Mr. Vergara graduated in economics from Universidad Católica de Chile and holds a Ph.D. in economics from Harvard University [more]. 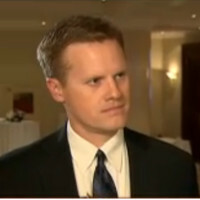 Jouko Vilmunen is the current Head of Research at the Monetary Policy and Research Department of the Bank of Finland. He has a PhD (Economics), a M. Pol. Sc. (Economics) and a Licenciate (Economics) from University of Helsinki. His research interest are on labour markets, wage indexation and exchange rate policy [more]. James P. Walsh is Deputy Chief of the Surveillance and Review, Monetary and Capital Markets Division at the International Monetary Fund. He has a BA from the University of Pennsylvania and a PhD in Economics from the University of Chicago. 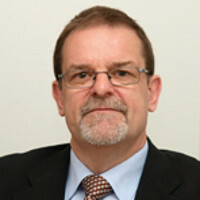 In the IMF, he has worked on a wide range of policy initiatives, including the 2005 Review of IMF Conditionality Guidelines and financial regulatory reform after the global financial crisis. His research has focused on emerging market financial and banking issues, including international capital flows and banking sector risk in emerging market banking sectors, and most recently the relationship between food prices and inflation [more]. 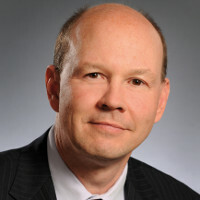 Mark Zelmer is Deputy Superintendent at the Office of the Superintendent of Financial Institutions (OSFI), Canada. He represents OSFI on the Basel Committee on Banking Supervision and the Financial Stability Board’s Standing Committee on Supervisory and Regulatory Cooperation. He also co-chairs the Financial Stability Board’s work-stream on non-bank/non-insurance entities, which is currently exploring the potential vulnerabilities associated with asset managers and their investment funds. Prior to joining OSFI, he was at the Bank of Canada where he held numerous positions. He also served at the International Monetary Fund (IMF) as Senior Economist and Deputy Division Chief in the Monetary and Exchange Affairs Department from 2000 to 2003. Mr. Zelmer holds a Master of Science, Business Administration (Finance) degree from the University of British Columbia and a Bachelor of Commerce Honours degree in Finance from Queen’s University [more]. Dr. Nancy Silva, Research Director, Chilean Superintendency of Banks and Financial Institutions. 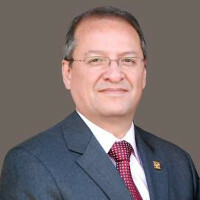 Dr. Fernando Díaz, Head, Department of Management, Universidad Diego Portales.